Physical Boundaries are probably the easiest to define although they can be very hard to bring about. The best way to describe physical boundaries is that they are property lines. For instance, my desk, office, my locked car, my computer with password protection, money in my bank account, and my body are all physical boundaries. 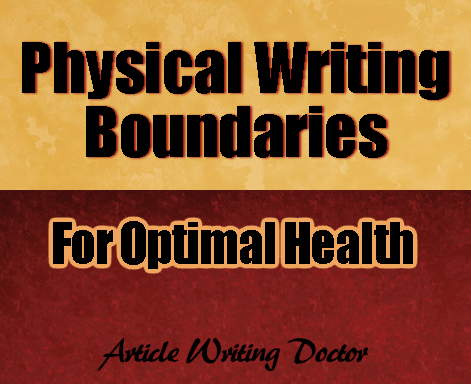 One of the reasons that physical writing boundaries are the easiest to define is because they are external. It is easier to set up physical boundaries, and it’s easier to observe when someone has created a chasm in a physical boundary. 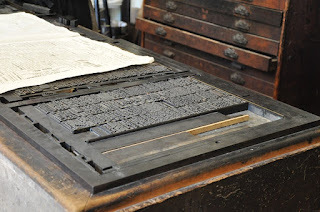 It is crucially important for writers to ensure that their physical boundaries are met and that they create some solid space for themselves and their writing. Do you have to share your computer with another family member? This could cause a lot of difficulties for you. Also as a writer you have privacy issues that you will want to uphold too. This is all a part of your physical boundaries. You may feel infringed upon and unhappy to be giving your personal computer to anyone else, even if it is only on a borrow basis. So, keep your computer to yourself and don’t share it with anyone. Can you tolerate noise outside of your office as you write? Do you have to have the drapes drawn so that the sun and people passing by your house won’t be a distraction? How easily distracted are you by noise? Many writers are very easily distracted by noise and commotion. If you are one of them, develop the proper environment in which to write so that you are most successful. Take steps to ensure that you have the proper kinds of sounds as you write. You may want to have a CD of soothing nature sounds or music as you write. If you don’t know what makes you most productive, experiment a bit. All writers need to exercise every day given their sedentary work at their desks. So, you must ensure that you get a bit of exercise every day. Exercising and writing will go hand in hand because the more you exercise the more productive you will feel. We all need a different amount of exercise to be at our best. So, experiment with what you need and then follow through for optimal health and productivity. To be at your best and to do your best writing you need to have ergonomic furniture that is suited to your body and any physical requirements that you may have. If you have special needs because of arthritis or other stiffness, take time to buy exactly what you need to write at your best. It will give you GREAT dividends later on. And you will have gained a lot of self-knowledge about yourself as well. One of the most important things that writers can do is to eat healthy foods. This will ensure that they are more productive and healthy too. Try not to eat a lot of carbohydrates or refined sugars. Also, make sure that what you eat is healthy and good for you and that keep your mind active and productive. If food affects how you think, take heart. Just learn to do all that you can to accommodate your needs so that you could be most productive at the desk. 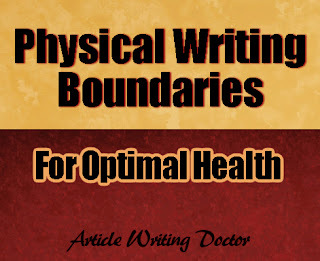 Healthy writers must create these physical boundaries for themselves. In fact, you will be most successful if you take the time and patience to create these boundaries. So, take out some time today to reflect on whether you have these physical boundaries in place so that you can be healthy to write and be creative. Writer can have a difficult time taking care of their health. It is therefore important for writers to guard their physical boundaries. Every time you do, you will not only be healthier but also much more productive and self-confident. Now this is a winning combination for all writers. To learn more about create physical boundaries, double click on this link: Amazon. Irene S. Roth, MA, (freelance writer and author) writes for teens, tweens, and kids about self-empowerment. She is the author of over thirty-five books and over five hundred online articles. She also writes articles for kids, tweens and teens and her articles have appeared in Encounter, Pockets, Guardian Angel Kids Ezine, and Stories for Children Magazine and Online. She also has four hundred and sixty published book reviews both online and in print. LOL. So, okay. I'm quitting after spending hours trying to fix my computer! Irene, great tips on creating a stress free writing environment.